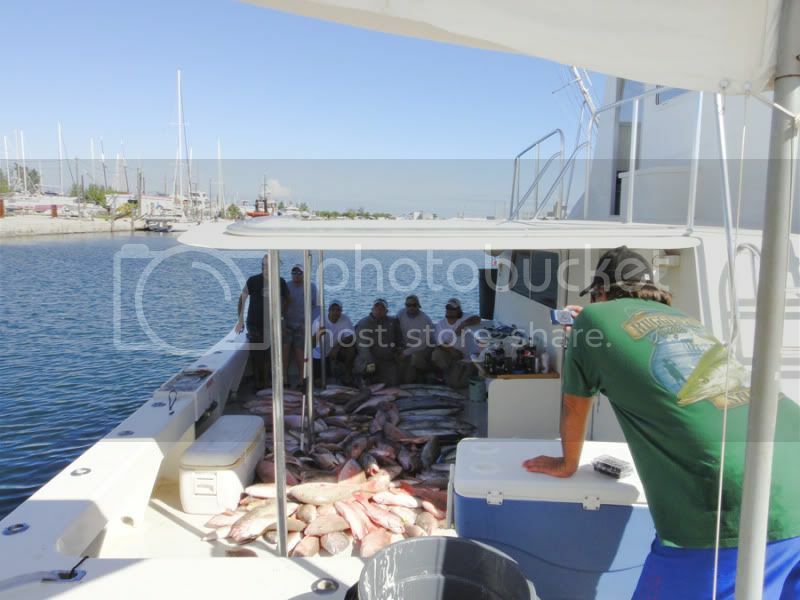 Via a social site The Reward Fishing Fleet announced their “Iron Man 10 Hour Trip”. 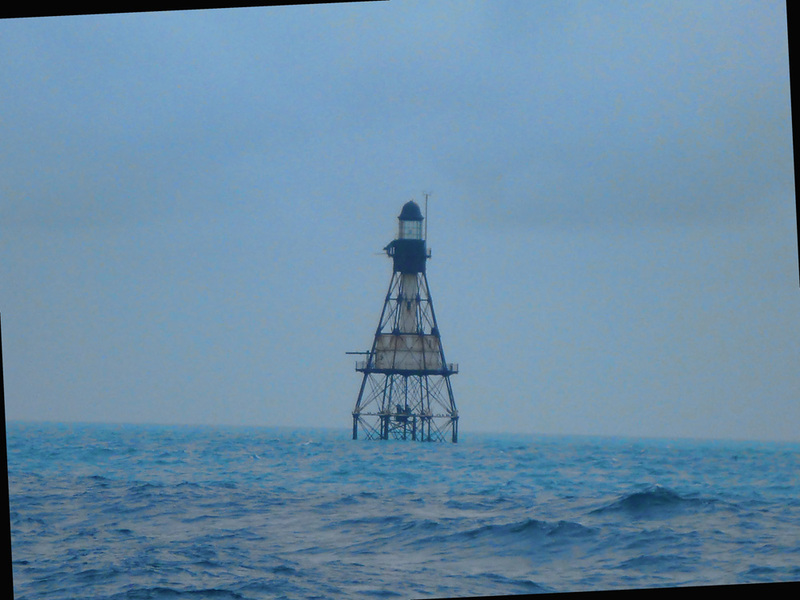 It was to take place around Elliot Key which is right before Key Largo Florida. I accepted the invite and hoped that the big AJ started to arrive for the usual April spawning season, and guess what? 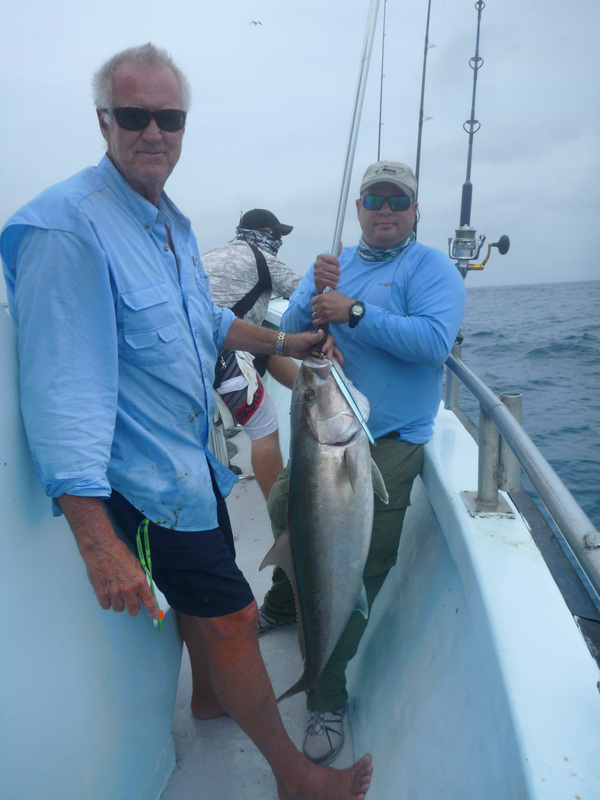 The big Amber Jacks’s started to arrive and Captain Wayne was able to get us on them. 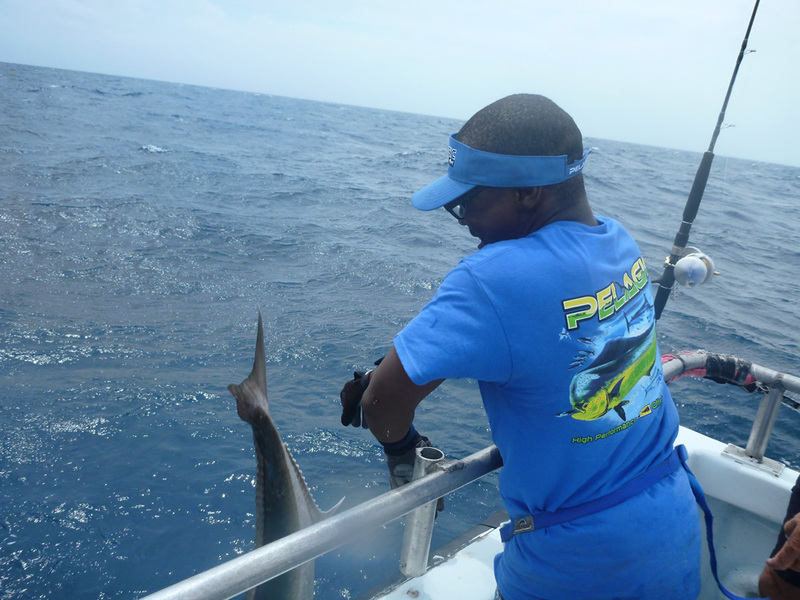 My intentions on this trip was to catch and release and so it was on many others mind. The trip began as it usually does we all met at the Bayside Marina around 5 am, when the Captain arrived he needed to get some item from his newer boat “The Legacy” so I got a chance to take a look at the boat and I have to say, they are doing some great work on it. I can’t wait to get fishing on that boat. 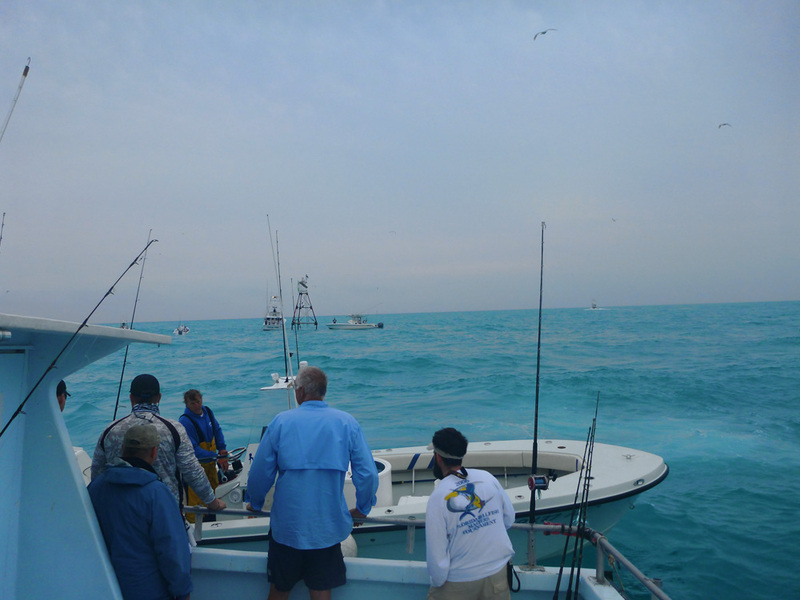 As we went back we loaded our gear into the boat, and Captain Wayne Conn gave us the fishing plan. 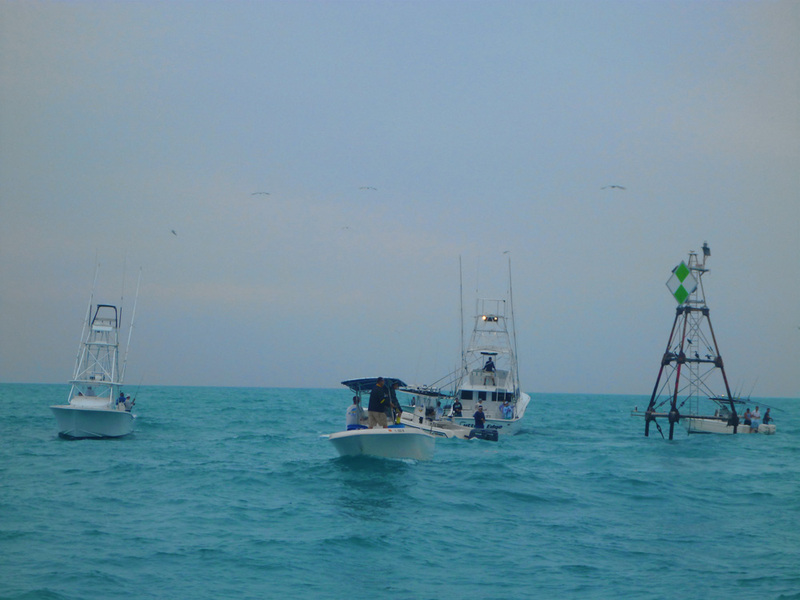 We were to go get live bait, we would troll on the way out from there taking turns as people caught fish, we then would go bottom fishing on hard bottom, and then we would hit a wreck or two. I love fishing with a Captain that takes his time before the trip and plans what can be done and “can” is the key word. Many Captains plan a trip thinking what “will” be done. If a Captain plans what “can” be done he/she takes into consideration that not all things can go as planned. On this trip the Captain came prepared to anchor but the forecast was once again wrong and so he didn’t anchor, he drifted his boat over the spots. At the spots that were hard bottom, bait fishermen had their chance at bottom fish. The ones vertical jigging with small jigs also had their chance at bottom fish like snappers and groupers. We got to the lighthouse and fished for some bait. Like all the other boats around were doing. 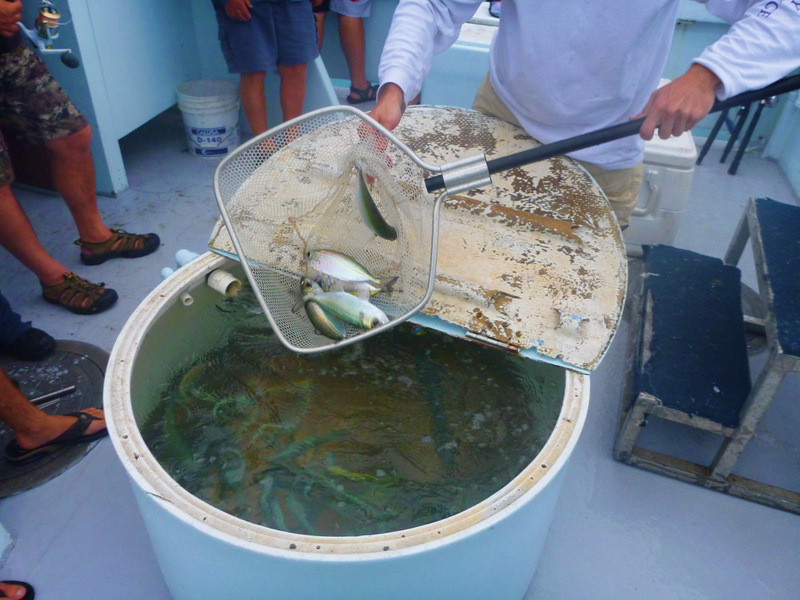 Captain Wayne Conn bought live bait which was covered in the $100 total fee for the 12 hour trip. Live bait was white bat and the very expensive goggle eyes. After we left from getting bait we started trolling. I trolled with a home made daisy chain of lures. I had gone to a local tackle shop and purchased 12 small plastic squids that I found on sale for $1.00. I rigged them as follows: 150 lb test swivel, 24 inches of 50 lb mono, red bead, plastic squid, 150 lb swivel, another 24 inches of 50 lb mono, red bead, plastic squid, 150 lb swivel, on the third one I used 36 inches of 100 lb test flouro carbon a bigger plastic squid, a 1/2 ounce weight, a red bead, and a 3 times strong live bait “J” hook. 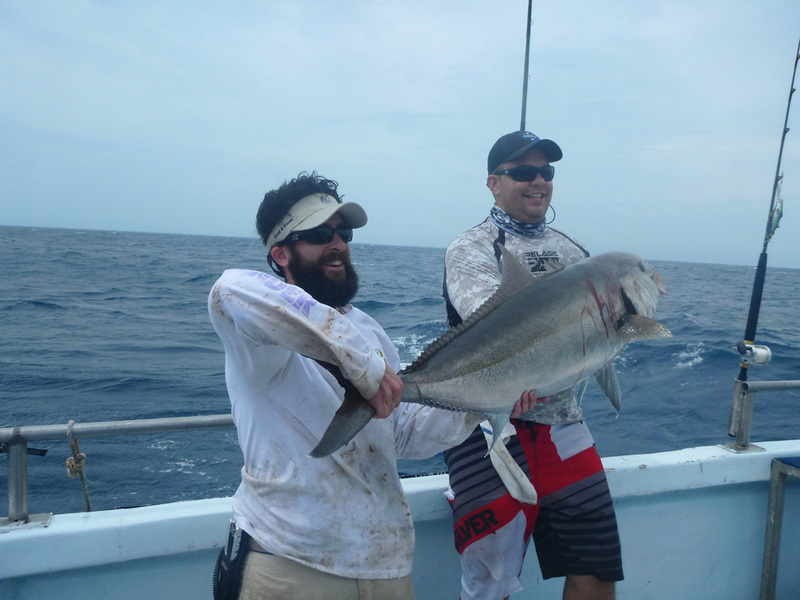 It always pays off with a black fin tuna or a dolphin of any size. 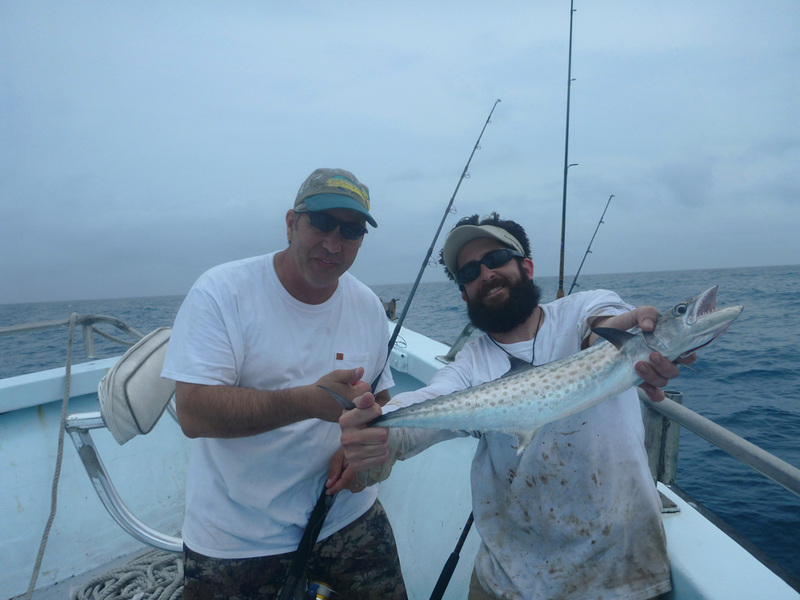 This time it was with a 30″ inch mahi mahi. 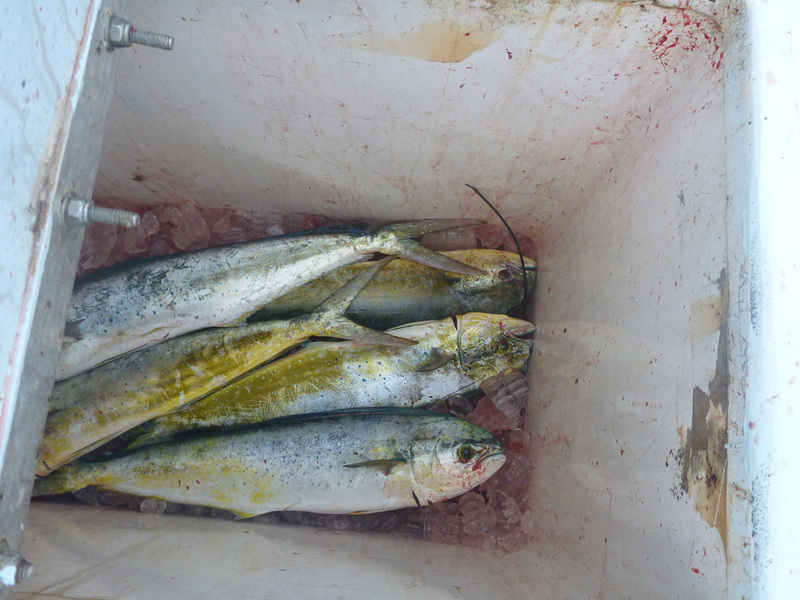 One mahi mahi was kept in the water so it would attract the others, then other fishermen tossed cut baits and got some more mahi mahi. Here is the color with the catches. After the dolphins we got back on the way but this time only small bonitos were the takers. As we got to the bottom fishing grounds a few undersize mutton snappers were caught as well as trigger fish and porgies. The jigs worked and started making their presence. 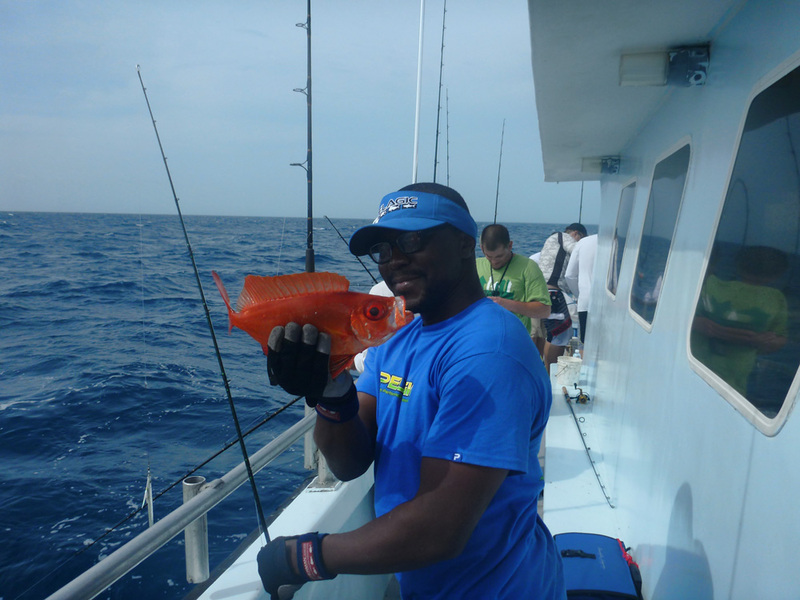 Here is William with a Toro Snapper that was released. Along came the Captain’s plan and so we went fishing at one of the wrecks. It was my first drop and my line became tight and at the same time 3 others. I was close to the boat and my line went slack and so did Bernardo’s line. But the person fishing live bait landed his. It was a nice 30 ponder cobia. 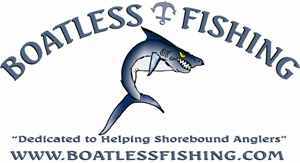 The Captain did two more passes over the wreck but the wind pushed the boat leaving the transom close to the wreck and all of us at the bow farther from it so I did not get another chance but other jig fishermen like Willian and Bernardo did. The Captain got in the jigging on the transom hooked a fish and gave the battle to one of the fishermen, he then gave the fish to battle to his friend below. Here is William releasing his fish. Below is Bernardo and his priced catch. It was also released. After the fishing battles people that were bait fishermen wanted to get some other types of fish to be fair the captain moved to a hord bottom spot to give then a chance but that spot did not produce much. 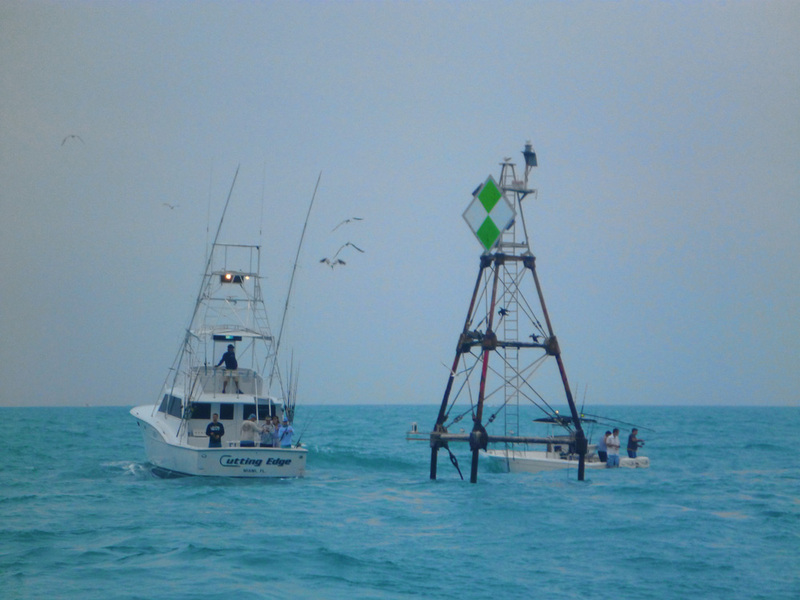 The captain also raised the fishing kite at many of the stops but at this stop we staued the longest as a chance at sailfish was probable, but there were no bottom fish and no sail fish takers. Captain Wayne Conn moved the boat once more towards a small barge wrecked, I got a nice size barracuda at this stop, and then to another wreck where I would have another chance at a fight with a sea donkey (Amber Jack). 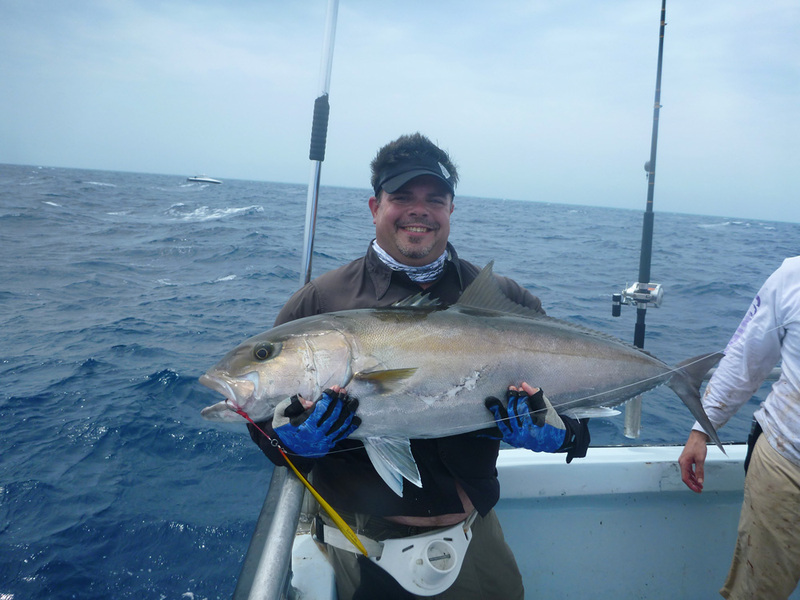 Below is my Sea Donkey (Amber Jack) I released this fish as well. As we drifted towards Fowey Rocks Light House, the small kingfish mackerel started to show up, here is one of them caught by a fisherman that had tons of patience waiting on a chance at fish. 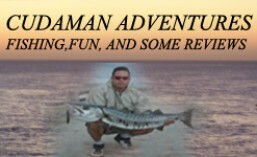 I give kudos to Captain Wayne Conn and his mate for working hard on getting everyone on the fish. He takes us to the spots and is upto us to get on the fish but he goes out of his way and catches fish to allow others to fight the fish and even allows them to keep the fish if they wish to do so. I love to hear his first question before landing a fish; “if you want to release it’s great, we can release it and if you want to keep it it is entirely up to you”. He always strives toward conservation and does not like it when someone says lets keep it just to leave it at the dock. 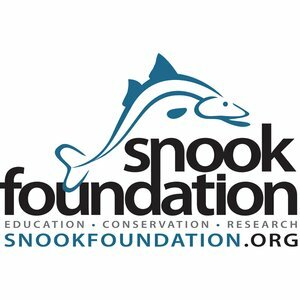 You can hear him talking about releasing fish through out the entire trip which encourages people to do so and they leave the boat with a clear conscious mind when doing the right thing. Off course there are times when a fish just won’t make it because the angler took too long some time because the fish was foul hooked (hook was not in the mouth) or because the angler’s tackle was just too light for the task. When this happens there nothing else that can be done other than to keep the fish if is is legal size and legal species. On the way back I took a shot at the Rickenbacker bridge and below it you can see the fishing bridge. 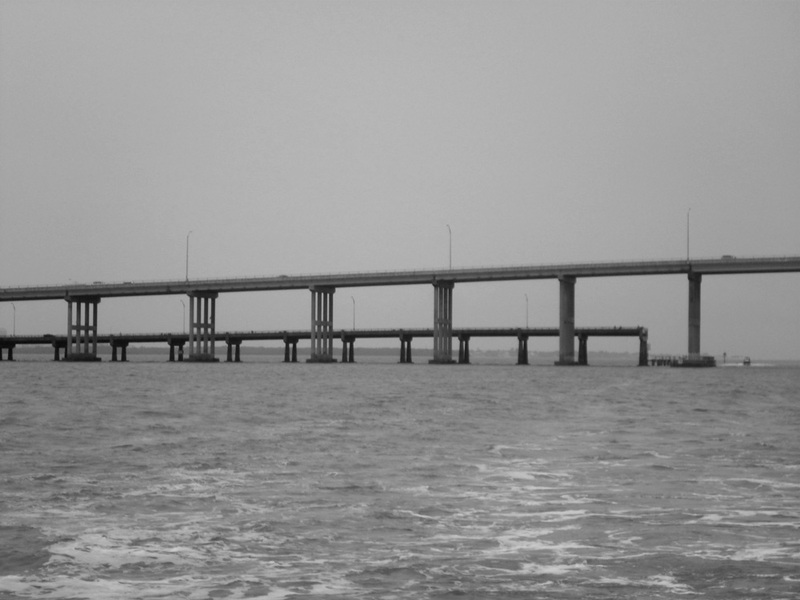 It was the original driving bridge to Key Biscayne Florida but a new and much higher bridge was built. The great thing was they left the old bridge standing to be used as a fishing bridge. The South side of the fishing bridge was knocked down due to structural damage (so they say). THE FISHING TRIP: Iron Man 10 Hour Fishing Trip which in the end ended being a 12 hour total trip so thanks to the captain for that. Weather Forecast: Sunny 20% chance of rain, Saturday South South West winds 9 to 14 knots. Seas 2 to 4 feet with occasional seas to 5 feet. The real weather was: Seas 4 to 6 feet with occasional 8 foot rolling waves, cloudy and no rain all day. Water: Choppy up to 8 foot seas and slow current in the morning strong currents in the afternoon. Jigs : 80 to 300 gram, butterfly jigs,silver, blue, pink, and orange worked the best.